Expert Data Cabling. CAT5e, CAT6, CAT7 & Fibre installers. 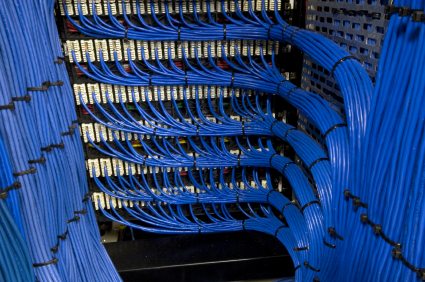 We have over 15 years of experience with data cabling and data cabinet systems. We provide fully tested computer and telephony networks for small to medium businesses. You may need a handful of data sockets or hundreds of sockets leading back to a data cabinet, either way our quality of workmanship is second to none. We also provide a repair service for damaged sockets and cabling. Our engineers are fully trained and most of all are very neat and tidy! Is your data cabinet a mess? Over time data cabinets can become unmanageable due to changes being made. We provide cabinet tidying services to remedy this. Your old patch cabling is removed and either reused or replace with new colour coordinated cables in an organised well presented manner.